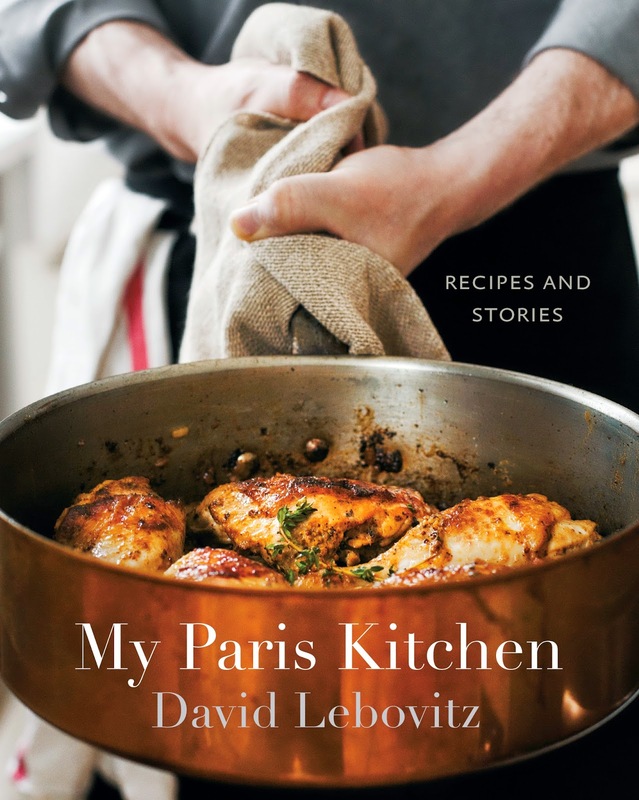 In My Paris Kitchen, David Lebovitz brings stories and recipes just like these into our homes. It’s comforting to know that the he experiences the same challenges that I am privy to in my own home. So, when he has an Eggplant Caviar recipe that he makes by roasting eggplants on the flame of his gas stove to give it the nice char and smoky flavour, he effectively “had me at Eggplant”. I love Parisian food. It has that certain je ne sais quoi about it, and perhaps that’s why I tend to think of it as a culinary novelty, one in which I may need to register in a French cooking course to just grasp the basics of technique which are at its essence. I read somewhere that David Lebovitz cooks Parisian food the North American way. What that means is that measurements are in a language we are used to. I was surprised to learn that this renowned pastry chef was introduced to Indian food in Paris, in a sizable Indian quarter up behind the Gare du Nord train station where most visitors don’t venture. It is in fact the area where the headquarters of the Hell’s Angels of Paris resides, and it is where he had his first naan. So, in My Paris Kitchen David Lebovitz has included a delicious recipe for Naan Au Fromage (Indian Cheese Bread). Laughing Cow (“la vache qui rit”) cheese is no laughing matter in this recipe, as it’s the perfect ingredient to melt quickly and smoothly in the pockets of naan. And for you all SukasaStyle wine fanatics out there, how about dropping cubes of ice in your rosé? David Lebovitz says rosé is considered a drink in France and not a wine, so to all those wine aficionados out there, just lighten up. Plus, David says it goes perfectly with Provençal snacks like pissaladière, a thin tart smeared with long-cooked onions, thyme, anchovies, and, of course, a good dose of garlic. Served as an appetizer it can be delicious, if not a bit unusual. David Lebovitz writes better than most food writers and given this, My Paris Kitchen is both a treat for your mind as it is for your senses. It’s a rare collection of delicious recipes for those who love French home cooking. My Paris Kitchen is published Ten Speed Press.